You are here: Home › News › Amazon Smile Now Supports Us! Amazon Smile Now Supports Us! Friends of Humanity is now on Amazon Smile. This means when you use the link below or go to http://smile.azazon.com and sign up, we get ½ cent for every dollar spent on eligible purchases (ten million items). While this may not sound like much, it adds up… and it is a painless way for you to support us. With the holiday just around the corner, you are probably gift shopping. Please consider Amazon for your online purchases. You need to have an Amazon email sign-in account. 2) If you do not want to use the link below, you can go directly to http://smile.amazon.com and choose us as your charity. 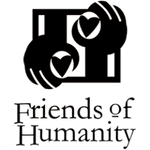 You have to search for us… use “Friends of Humanity” and then choose the one in Miami. After that, we are your charity whenever you shop on Amazon Smile. Please login to Amazon Smile when you shop… we do not get credit for “non-Smile” purchases. You can also share your purchases on Facebook… which spreads the word among your friends. We know Amazon does this to get “free” advertising… but it is a win-win because we get donations and you get the purchases you want.